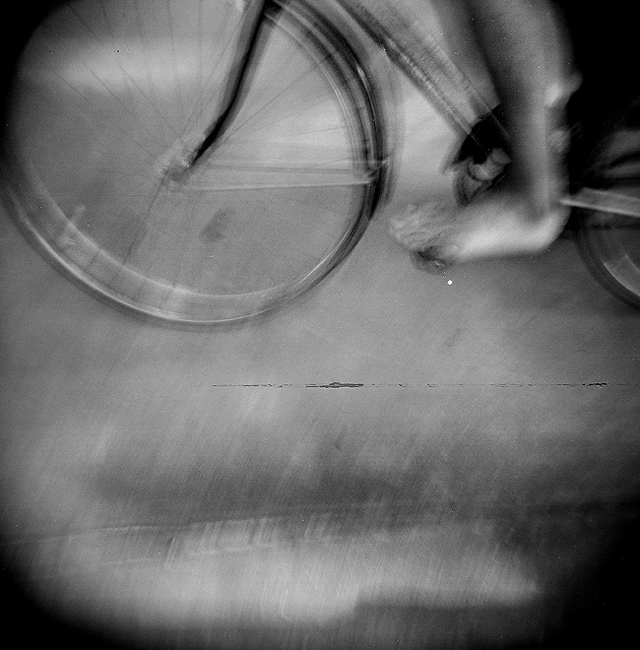 "Photographer James Roh pedals around barefoot in Salt Lake City, Sunday, July 24, 2010." What can I say? Summer is just about over. Well, I guess I don't really consider it over until I can stop swimming. But when I was in high school, once fall sports began, I considered it over. While I still expect one last end of summer bash with friends, I found the going away party of friends Beth and Ramin a great excuse to finish off a roll of 120 film I had sitting my Holga camera for three years. With some luck, all 12 frames came out correctly exposed. I was banking on light leaks galore and over exposed film. But as I mentioned, it all came out perfect. This was my favorite frame of the roll. Now I need to get some more film.